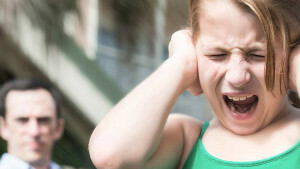 Has your child been diagnosed with a brain imbalance or Functional Disconnection Syndrome (FDS) such as attention deficit disorder, dyslexia, or autism? If so, you may not even realize that those never-ending-battles at the dinner table could be a result of sensitivity in one or more of their senses, causing chaos that you don’t even understand. And if you have been a party to these battles, you know they are tough to deal with and exhausting on so many levels. Maybe it isn’t just battles at the table, but also post-meal aftermath; things like chronic constipation, daily vomiting, and tearful bellyaches due to a digestive system that did not mature properly. An immature digestive system plagues at least 85% of children with FDS, struggling to absorb much of the nutrition from what they eat, putting them at risk for nutritional deficiencies. I have witnessed this first hand, and still, I had no idea that the two were related. I think it is very important that people are educated about the effects of FDS in children, more than just the usual-everyday-talk of how it affects learning and social interaction. Nutrition in our children should be a top priority. But is hard when you are struggling at the table and struggling to find ANYTHING that might help. 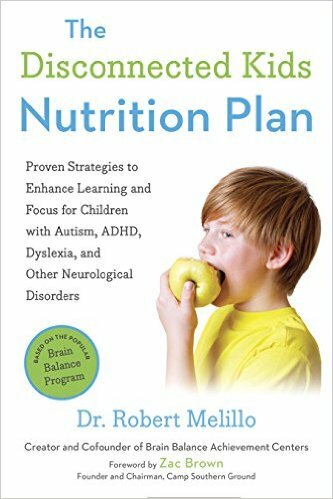 In a desperate search to find answers that I could understand, I ran across THE DISCONNECTED KIDS NUTRITION PLAN: Proven Strategies to Enhance Learning and Focus for Children with Autism, ADHD, Dyslexia, and Other Neurological Disorders, written by Author Dr. Robert Melillo. He, along with Zack Brown, explain the sometimes agonizing side effects of being diagnosed with different neurological disorders in a simple, easy to understand format. Seeing explanations that give parents the WHY behind the struggle with eating or with certain foods for these children is a huge step in accomplishing the one thing parents really want – healthy and happy children. It is exhausting for both the parent and the children to not only deal with the effects, but to be unable to find answers, and Dr. Melillo gives us the tools and understanding to battle the seemingly never ending torture. This book is brilliant and was so well executed. It is brimming with scientifically grounded information on brain function and its behavioral connections. It provides substantial details that parents recognize as relevant to their own experience with their children, which brings undeniable relief. Examples of the transformations of the children who have worked with Robert Melillo and Zac Brown create hope in parents who otherwise thought that they were at the end of their rope. Without a doubt I would recommend this book to any parent who is in agony with their children’s nutrition due to any type of neurological disorder. All children should have the opportunity to fall in love with good food. I may have received compensation for this review, but all opinions are my own and do not reflect the views of anyone but me. This is such an informative article. I will follow the link to check the book as well. Thank you!